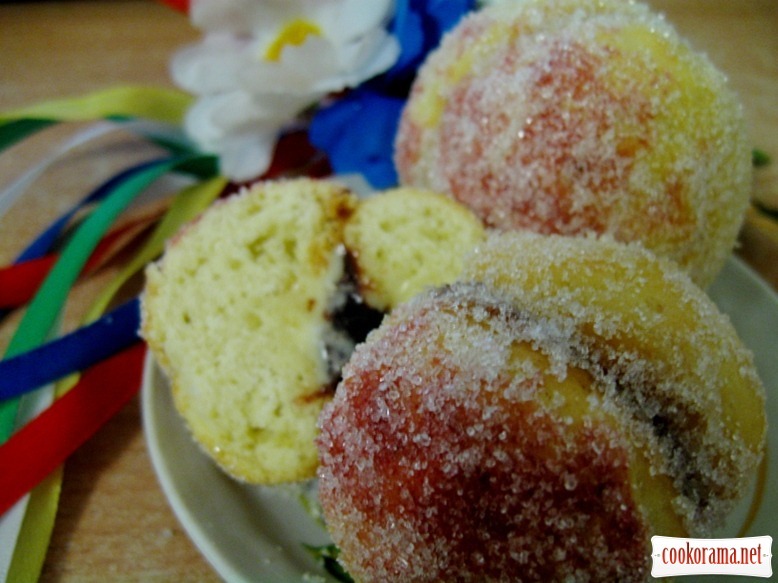 On the territory of the Internet read a few recipes of such cookies, some tried to cook. And I don`t know what happened, but I could not prepare exactly what I wanted… So I decided to experiment a bit… Well, somewhere at the third time I made something… offers my own version of these cookies. Mix eggs and yolks with with sugar into fluffy mass, add melted and cooled butter, sour cream, slaked soda and stir. 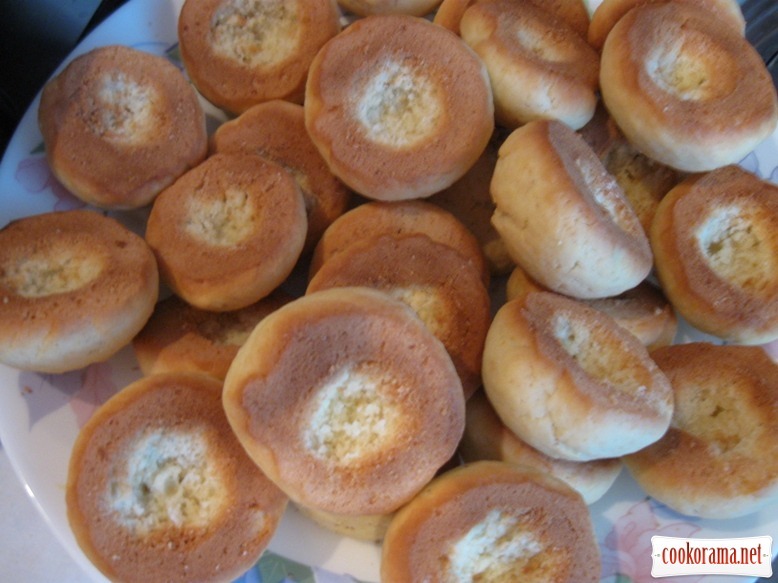 In two steps add sifted flour with biscuit powder. You should get soft, not sticky dough. 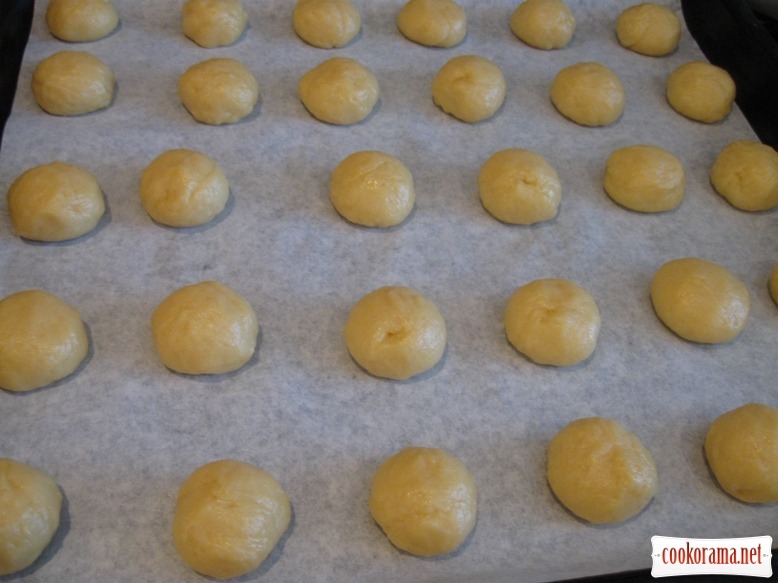 Cover baking sheet with parchment and spread dough in shape of slightly pressed balls. Bake in heated at 180 ℃ oven for 15-18 min. 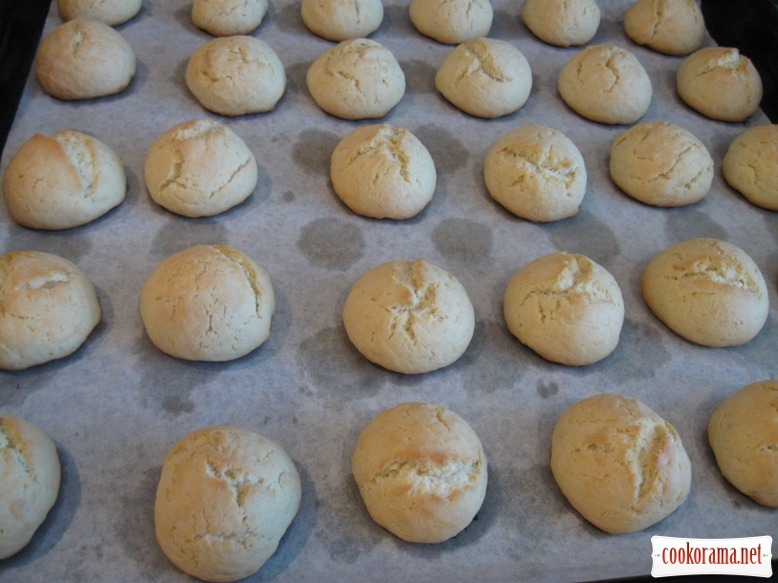 At the bottom of each cookie with a teaspoon make a slight indentation. 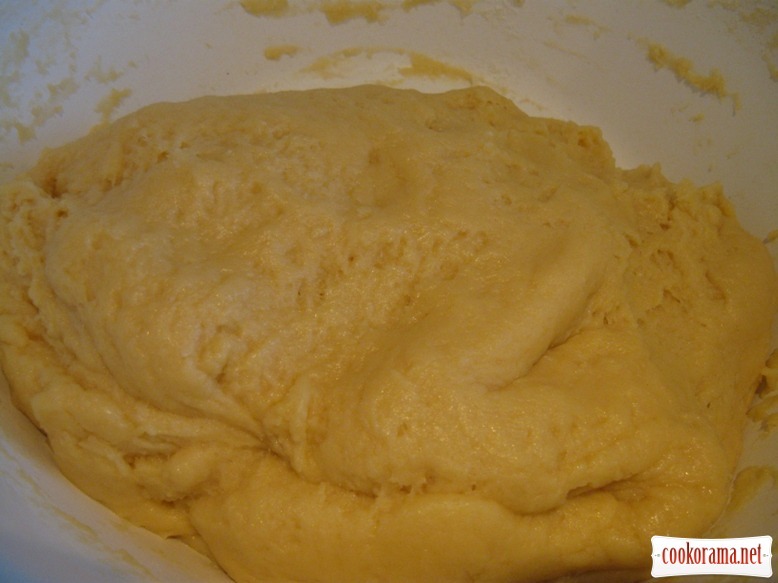 Mix butter until fluffy state, adding a spoonful of condensed milk. Mix plum jam with apricot jam. 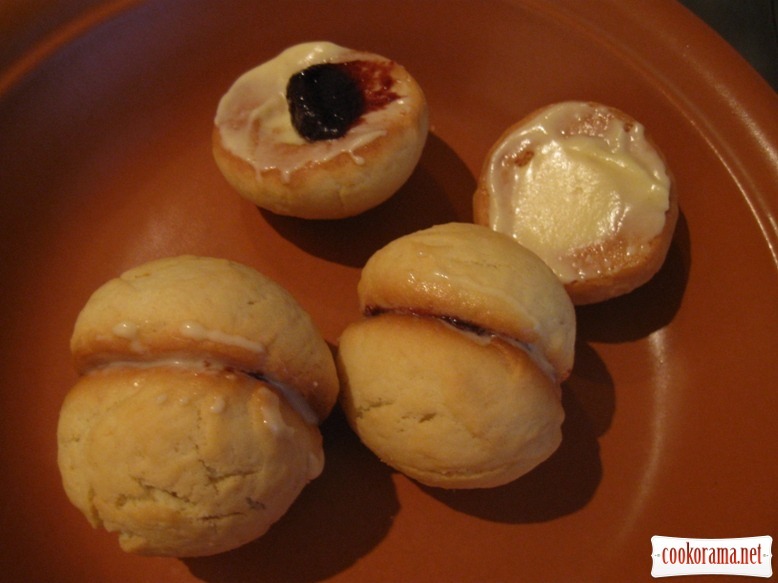 Smear each cookie with cream and on one of the two ones put a little of jam. Connect two cookies(one only with cream, the second — even with jam). Smear with carrot and beet juice, sprinkle with sugar. 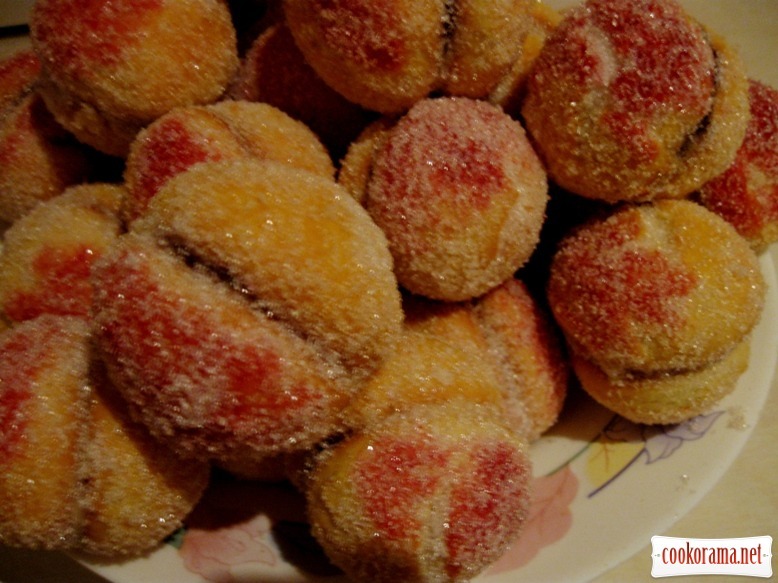 Top of recipe "Cakes "Peaches""
Waffles cakes without baking "Cherries"
Сто років не їла цих тістечок! какая красота! с натуральными красителями, вот молодец! Вот и я давно не ела такого печенья, хотя один раз очень давно готовила! Красиво получилось, как настоящие персики!